Every day seems to be bringing new news about the upcoming Joker movie starring Joaquin Phoenix. Just yesterday we got our first on set look at Phoenix in the upcoming standalone feature. Now, with the world already discussing so many things about the DC film universe, we finally have our new Thomas Wayne for The Joker. 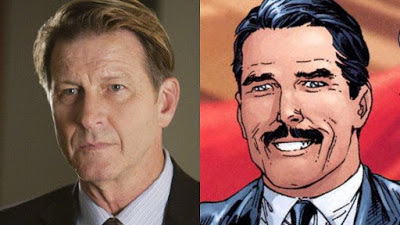 From what we're hearing, Thomas Wayne will be playing a central role in the movie. Today, word broke that character actor Brett Cullen will be stepping into the shoes that Alec Baldwin left right after being cast. No plot details have been released up until this point, but the feature is said to take place in the '80s and will be a crime film that's inspired by the works of Martin Scorsese. Cullen also played a congressmen in 2012's The Dark Knight Rises and has decades of work behind him.